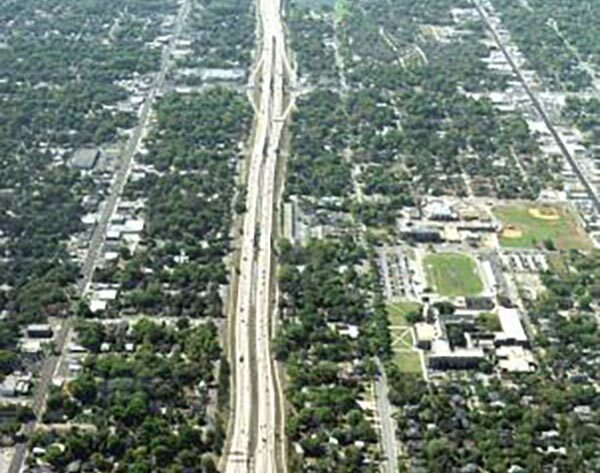 As the lead engineering consultant, KCA provided roadway plans and management for this project, which closed the median and widened 16 existing bridges to provide minimum 10-foot-wide shoulders. The existing median guardrail was removed and a concrete median barrier wall installed 2 feet left of the baseline survey. The bridges were widened to bring them up to current design standards and connected with no gap in between. The existing median inlets were adjusted to meet the new shoulder edge of pavement and new inlets and pipe were installed. Light poles, ITS conduit, and sign structures were relocated to the median barrier wall. Many of the bridge widenings required innovative substructure systems to maintain clearance over existing roads and structures.